Discussion in 'NFL Football Forum' started by signbabybrady, Apr 7, 2019. Inspiring story and I figured it deserves a thread. Man, good for him. Last time I saw him he was barely able to walk. Now he's doing stuff I can't do. Hopefully this ordeal will teach him and his ****sburgh teammates to not cheapshot someone head-first. Good to see but I don't want to get too excited about it. The last time I saw him he just seemed so out of balance walking. A single 10 second clip doesn't convince me he's close to okay. He's bursting with power in one direction. That doesn't mean he can do more complex movements. Does anyone have any video of him running or walking recently in the last few months? I'd love to see it. Despite what this looks like, doubt if he will ever don an NFL logo.. It is remarkable considering where he has been..
Agree. My understanding is he has been smart with his football money. No need to play. You don’t think this is excellent technique? Under the old rules it would be fine. This is about what we are able to do now for people with spinal injuries when the best medical care is applied to it. This is a statement about the intersection of medical resources and human determination. He's going to inspire many others with similar injuries to persevere. His recovery will add more data to spinal cord injury research. It'll encourage more money to be allocated there. This is about him getting back to being a fully functional member of society, not a fully functional football player. This is about creating more hope and possibility when a friend or family member has a spinal cord injury. Wonder if he'll play again. I'd hate for him to risk another injury, but it'd be a cool story. 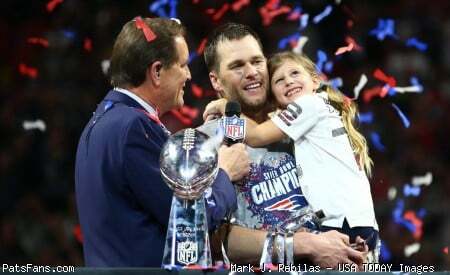 I can see him now holding up the Lombardi. As a coach. That would be such a typical BB move, to hire the guy in at the bottom of the coaching ladder and let him climb it. It would be such a wonderful poke in the eye to the Steelers. That’s a great story, he hasn’t reached his goal, and he may never do so, but it’s great to see him making this kind of progress. Fantastic- what drive , effort, and progress...! Their HC and players were the loudest opponents to the NYFL's attempted crackdown on cheap head hits at the beginning.